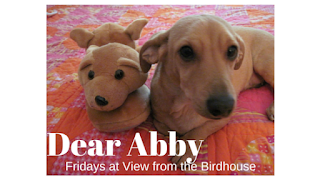 View from the Birdhouse: Dear Abby - Dog Songs -- A New Blog Series! Welcome back! I'm excited this week because I have a fun new series coming up. 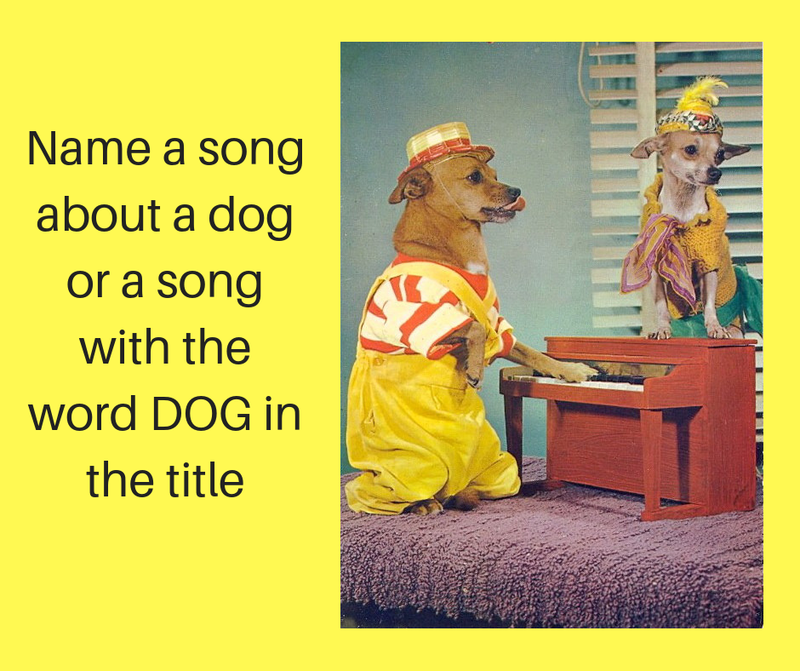 I'm going to write about dog songs here! Each week a different song will be featured. (Of course I will include videos of the songs as well, if I can find them.) Momma plays music all the time here, so I like music too. And of course, there is no better topic for songs than man's (and woman's!) best friend. I would love YOUR ideas. What are some songs you can think of that are about dogs, or that contain the word DOG in the title? Please leave a message in the comments below. How much is the little dog in the window. We like music here too. Hi Abby! The song I first thought about has already been mentioned. "How much is that doggie in the window (the one with the waggily tail..)." When I was a little girl, my Mom played that song on her old record player and I wanted to hear it over and over. Omg this is so cute! I agree with others about how much is that doggie in the window. I think the only song about a dog I know is "doggy in the window" haha! I love this though! Thanks, friends! I really appreciate the suggestions. I'll make sure they are all included here in upcoming weeks.